What does Mike Tirico's future at NBC look like after TNF leaves? Losing TNF means one less high-profile gig for Tirico, and it might raise more questions about when Al Michaels will retire. There was some drama over that in year one, thanks to the NFL’s bizarre insistence on having the “#1 team” call Thursday games, but NBC eventually worked it out by putting Tirico on a Sunday game before some Thursday games, and then won NFL approval to call Thursday Night Football all season in 2017. So, now that TNF is moving over to Fox for the next five years, what does that mean for Tirico? Perhaps the most notable thing here is that this removes Tirico’s highest-profile play-by-play opportunities. Now, he’s been very good about handling that before, saying all the right things while the NFL benched him in 2016, and there’s no reason to think he’s going to revolt here or anything. He’s about to become the network’s main Olympic voice thanks to Bob Costas passing that torch, he’s been hosting Football Night In America, he’ll still get to call Notre Dame games, and this move may provide a chance to expand his golf work, either for NBC proper or for Golf Channel. But it’s certainly worth mentioning that his 2018 broadcast schedule as of now just got a whole lot less busy, and a whole lot less high-profile. And this might push the conversations about Al Michaels’ retirement a little more into the limelight. Michaels, the Sunday Night Football play-by-play voice who’s calling this weekend’s Super Bowl, will be 74 in November. While there are some broadcasters who have continued as a primary national play-by-play voice after that, there aren’t a whole lot. Michaels points to advice from former Buffalo coach Marv Levy about never considering retirement. He could be in position to stay long enough to match [Pat] Summerall’s record of 11 Super Bowl play-by-play broadcasts. It doesn’t sound like Michaels is eager to leave. And yes, it’s possible that he could work another Super Bowl (NBC’s next Super Bowl broadcast will be in 2021, and Michaels will be 76 then) and tie Summerall’s record before retiring. 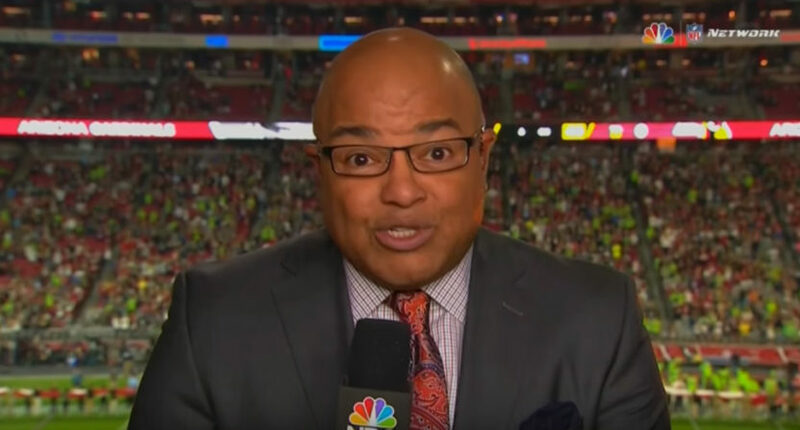 But it might have been a lot easier for NBC to keep Tirico happy to stay as the eventual replacement for Michaels if they still had Thursday Night Football. There might be more pressure on Michaels to retire at some point soon thanks to this decision, with that pressure not necessarily coming from Tirico, but maybe even from a budgetary perspective. It’s harder to justify a bunch of big-ticket broadcaster contracts when you have less big-ticket events. Of course, it’s quite possible that Michaels could stay around for years and that Tirico wouldn’t go anywhere in the meantime. It seems unlikely that he’d leave, as he does have quite a few high-profile opportunities at NBC, especially as he’s becoming more central on the Olympic side. (And they have those rights through 2032, so there’s no fear of that gig going away.) Between Olympics, hosting Football Night In America, calling some Notre Dame games, and doing some golf work, it is far from a bad job for Tirico, and maybe they’ll be able to find some other things for him to do. It certainly doesn’t sound like TNF was the main or the only thing that Tirico came to NBC for, or that losing it is going to necessarily be a crisis for him. But in addition to its other benefits for NBC, the TNF package was a nice way to keep Tirico active in NFL play-by-play while waiting for Michaels’ retirement. With its departure, there are more questions about what Tirico’s NBC role will be while waiting for Michaels to retire, and more questions about just when that retirement will come.